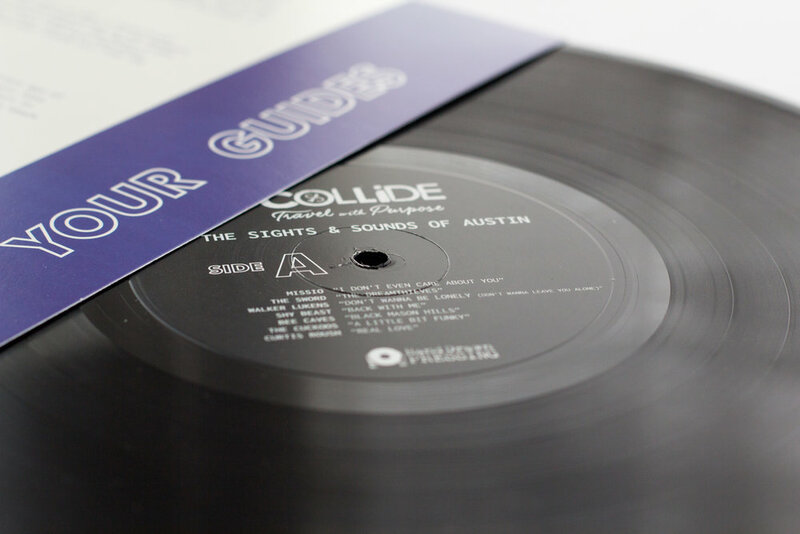 The Sights and Sounds of Austin is a 12 track record with an ATX city guide insert curated by the participating musicians and bands. I designed and edited the insert, back of vinyl, and center labels. 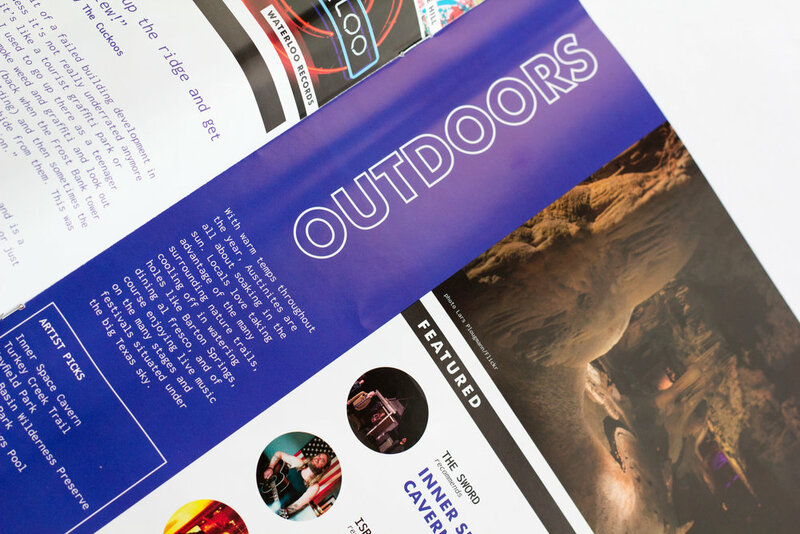 It was available at select Austin hotels and on Rainey St. during SXSW 2018.